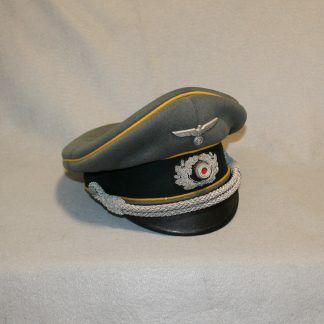 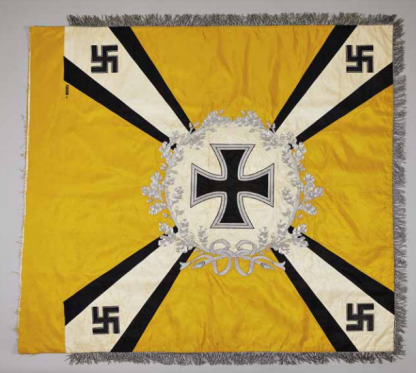 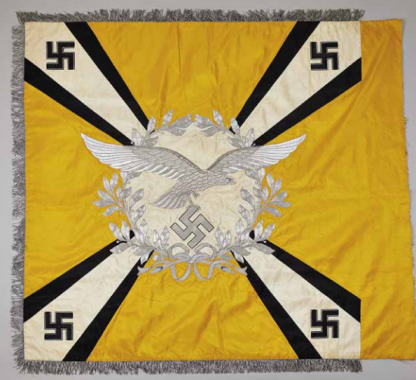 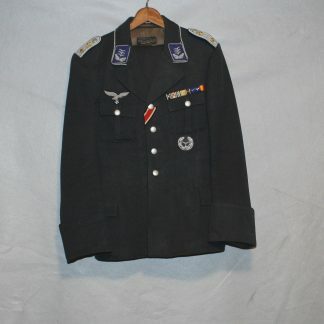 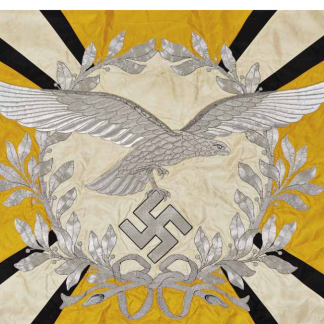 Luftwaffe Unit Standard for Flying Troops – Military Collectibles, Inc. 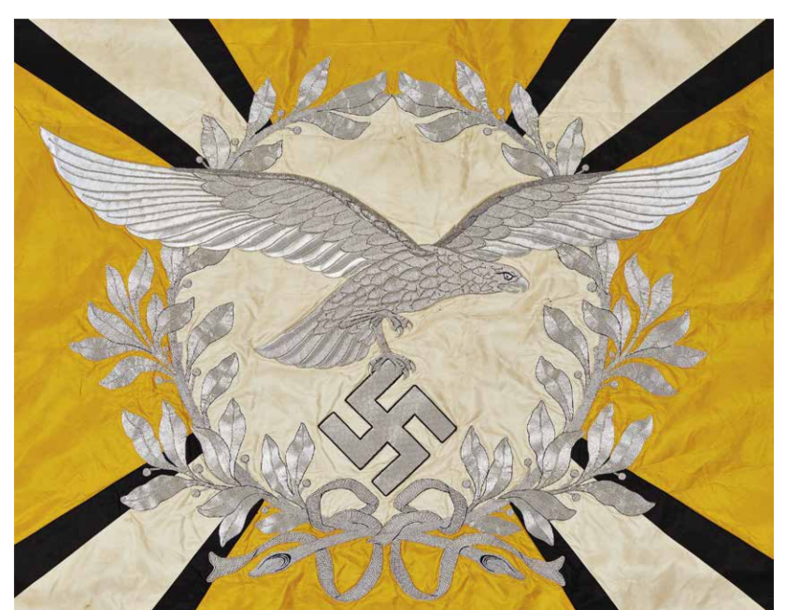 This is an amazing Luftwaffe Regimental flag for a flying unit. 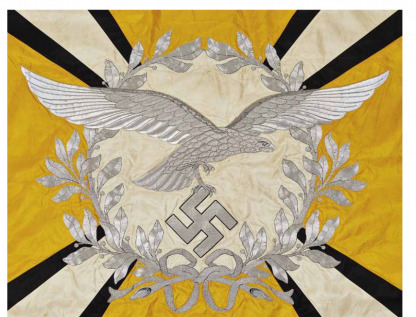 Excellent embroidery to the center eagle surrounded by a laurel wreath. reverse shows an equally impressive Iron cross done with the same high level hand embroidery. 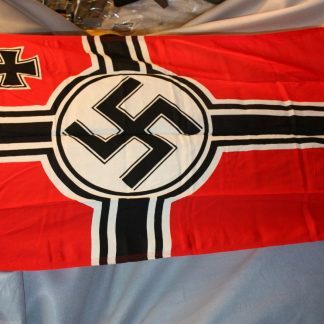 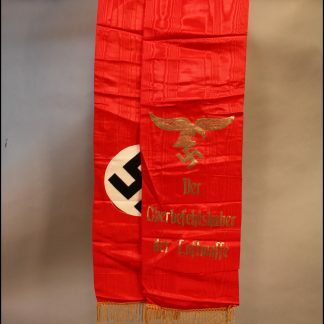 The flag still features the uncut sleeve for mounting to the pole and a makers tag still present. Very nice flag with bright yellow color, amazing bullion work and full fringe. 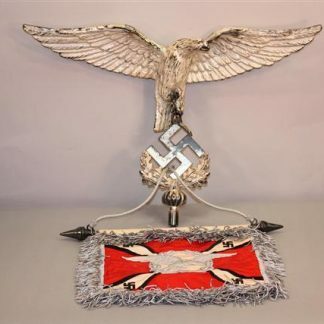 Just a superb example and would make the perfect addition to any collection.